Choof Choof… All aboard!! Here is your invitation for a Day Out With Thomas… Thomas the Tank Engine is coming to Gembrook with his friends Percy and Diesel to take you on a ride to remember! Head out with the whole family for a unique experience on Puffing Billy from where Thomas fans will enjoy a fun filled day with loads of activities for the kids. There is nothing like hearing the screams of anticipation from young kids as they eagerly await to see Thomas the Tank Engine puffing away in real life. Toddlers, pre-schoolers, and young kids will love their “Day out with Thomas” and all that comes along with it. Not just any train ride, A day out with Thomas gives families a 35 minute ride through the hills with their favourites including Thomas, Percy, Diesel, and of course the fat controller! Winding in and out through the bushland, you can experience the beauty of the stunning Dandenong ranges. Once back at the station, there will be jumping castles, an animal nursery, an imagination station, and many other fun and exciting activities for toddlers, and pre-schoolers. 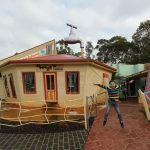 The Puffing Billy Railway is a must-see attraction in Melbourne for kids and families who live here, or who are visiting. It is a beautiful way to travel through the Dandenong ranges. 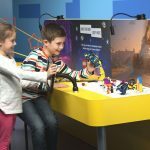 However, events such as A Day Out With Thomas make it even more special for children who love Thomas and Friends to meet their favourite characters. Plenty of other FUN activities for all the family! The site is family friendly with many facilities with toilets and a change area. Also, feel free to bring your prams along too. Please note that the session time chosen at time of booking is also your train ride departure time. 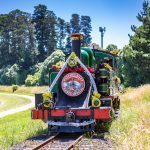 You can purchase tickets on the Puffing Billy Website here. Parking is available at Gembrook Primary School, about a 5 minute walk. While at present passengers are not allowed to hang their legs out the windows as previously, you will still get to experience the environment in open carriages as you travel through the breathtaking forests. 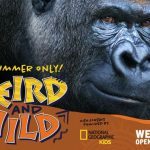 Tickets sell out quickly so grab yours online to experience this truly unique experience with the whole family. 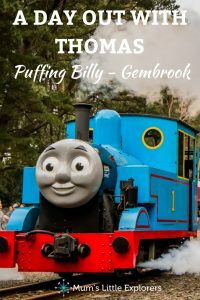 A Day Out With Thomas – Puffing Billy will be a day to remember! 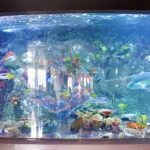 Looking for more fun things to do with kids in Melbourne? 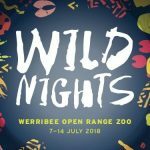 Take a look at Melbourne Family Events, or Melbourne For Kids pages and make sure you Follow Mum’s Little Explorers on Facebook to stay updated on the latest!